Teachers on this path are required to be original, honest, spontaneous mirrors of the 5Rhythms teachings. Since these teachings are fundamentally rooted in movement, to embody them is to be willing to move and be moved in the moment, in a grace spun by something bigger. A teacher is somebody committed to being real and accountable and to providing the space, permission and guidance for you to do the same. Read our latest 5RTA teacher spotlight here. 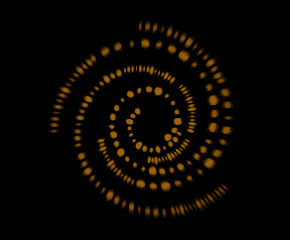 Mastery ~ the ability to physically, emotionally and mentally embody the 5Rhythms and their Maps and proper training and preparation to facilitate this healing practice. Integrity ~ Be-ing our word on and off the dance floors, wholly & completely. Humility ~ knowing that teaching is but a lifetime commitment to being a student. Ongoing Education ~ the 5Rhythms body of work is ever evolving, our teachers are ever evolving with it. Community Service ~ Dedication to offering teachings to diverse communities – such as hospitals, prisons, disabled or simply the never been danced – as a way to transform chaos and crisis into connection and creativity. Read more about our 5RTA members in our Monthly 5RTA Teacher Spotlights. 5RTA members are committed to nourishing their teachings by surrendering to the dancing student within, year round. To maintain Accredited 5Rhythms Teacher status, members are required to attend Teacher Refreshes every 2 years held by 5Rhythms Global and dance as a student in workshops held by teachers that have been trained both before and after themselves – ensuring that Accredited 5Rhythms teachers bring to their communities the most current evolution of our fluid 5Rhythms body of work. The 5Rhythms Teachers Association is a professional organization for 5Rhythms certified teachers world-wide. Only 5RTA member workshops and classes are given credit towards the training path prerequisites for 5Rhythms certification. 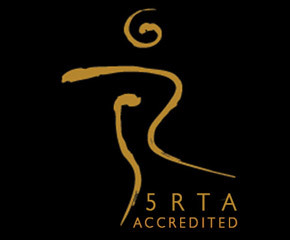 The 5RTA is an associate member of International Somatic Movement Education and Therapy Association and Dance First Association. 5RTA members also serve as Mentors in our new 5Rhythms Sweat SpaceHolder Program. As the work and space that we hold in our 5Rhythms communities, classes and workshops worldwide stirs up delicate issues of the heart, mind, soul and relationship — we are mindful that these containers must be checked & balanced for integrity. The 5Rhythms Teachers Association & 5Rhythms Global office welcomes feedback from your 5Rhythms experiences in regards to another student, your teacher, and/or yourself. 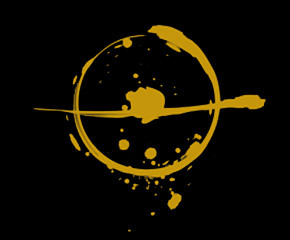 If something has been stirred in you thru a 5Rhythms experience, we kindly ask that you go to our Contact Form here, select “5RTA Ethics” from the drop down menu and allow us to hear your concerns so we can address the integrity of our work. We pledge to not share your concerns in any public way and will address your concerns with discretion and in confidentiality.